LONDON (Sputnik) - The UK authorities are trying to create a hostile image of Moscow in order to hamper the Russian diplomats' interaction with the UK public, the Russian Embassy in London said on Thursday. During the 2018 Winter Olympic Games in Pyeongchang, Russian figure skater Alina Zagitova managed to set a new world record when she performed in the short program. 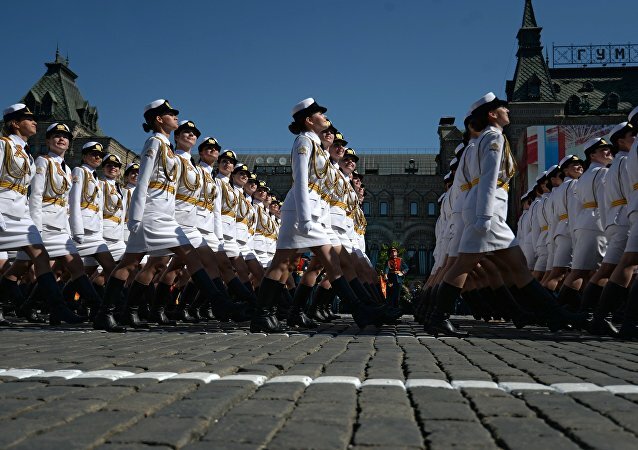 A battalion of female cadets in their skimpy uniforms traditionally turned heads as they marched on Moscow’s central Red Square during the Victory Day parade on Tuesday.